Hollywood movie star Robert Mitchum was on vacation with his wife in New Orleans when he ran into “Colonel” Tom Parker, then a musician talent manager. The couple had listened to a talented musician the night before, and told Parker he might want to sign him. The musician was Elvis Presley. Mitchum and Presley became instant friends afterward, and the musician even came to their house to spend Christmas, Mitchum’s son, Christopher Mitchum told Talk Business & Politics. Mitchum, along with John Wayne’s son, actor Patrick Wayne and actor Roger Carradine spoke at the Memphis Film Festival on Friday (June 8). The three actors who spoke are all the sons of iconic actors, and all three agreed it aided their careers. 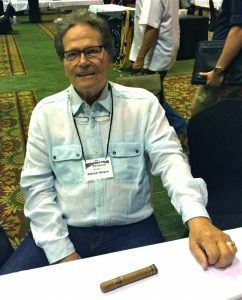 Patrick Wayne, who was screen tested to play “Superman,” a role that ultimately went to Christopher Reeve, said the only possible downside was that it might have heightened expectations. Wayne got into acting so he could be closer to his father, who was often on sets around the country and world, he said. “It was an opportunity for me to have his undivided attention,” Wayne said. Carradine’s father, John Carradine ushered his son toward acting when he was a teenager. John Carradine, famous for his portrayal preacher Jim Casy in the movie “The Grapes of Wrath” was working on a play in Florida and he invited his son to take a role. Carradine wanted to be a race car driver, not an actor. He went to Florida and when he got paid $125 he changed his mind. “I think I’ll do this,” he said. Carradine went onto star in many films, but his most memorable role was that of Lewis in the Revenge of the Nerds movies. He worked with John Wayne in one film, and he was intimidating, Carradine said. “He just kept getting taller the closer he got,” he said. Mitchum didn’t intent to follow in his father’s footsteps. He studied English literature in college and planned to be a teacher, he said. He had a wife and two kids. He started working in movie production and slowly transitioned into acting. The first time he noticed his father in a film, he was at the movie theater with his mother, Mitchum said. She told him to be quiet, but when his father made an appearance, he couldn’t help himself. His fondest memories in acting involved his dad, he said. One night they were filming a movie in southern Arizona and there was only one “Spartan” type hotel in town. It had little or no insulation in the room father and son had to share. The floors were cold to the touch and at about 3 a.m. Wayne woke to the sound of a static coming from the television. It was too cold to get up, but he couldn’t sleep with the noise. His father finally rose, touched the cold floor and complained. “I broke out laughing,” he said. Christopher Mitchum has had a long career in entertainment, and at one point thought he might want to be a congressman. He ran for Congress twice – 2012 and 2014 – as a Republican in California, but lost both bids. To this day he still has vivid memories of the visit from Elvis. The future “King of Rock and Roll” never had prime rib before, and that night he had three servings, Mitchum said. His father was a musician and he and Elvis stayed up late playing music together. Mitchum also acted in several John Wayne movies, and was intimidated by him, too. The two were playing chess on a set one day, and he noticed that John Wayne was moving more than one piece at a time with his enormous hands. Frightened, Mitchum didn’t know what to do. He finally spoke. “Duke’s cheating on chess,” he said.